I hope that everyone had a good weekend and good Monday. 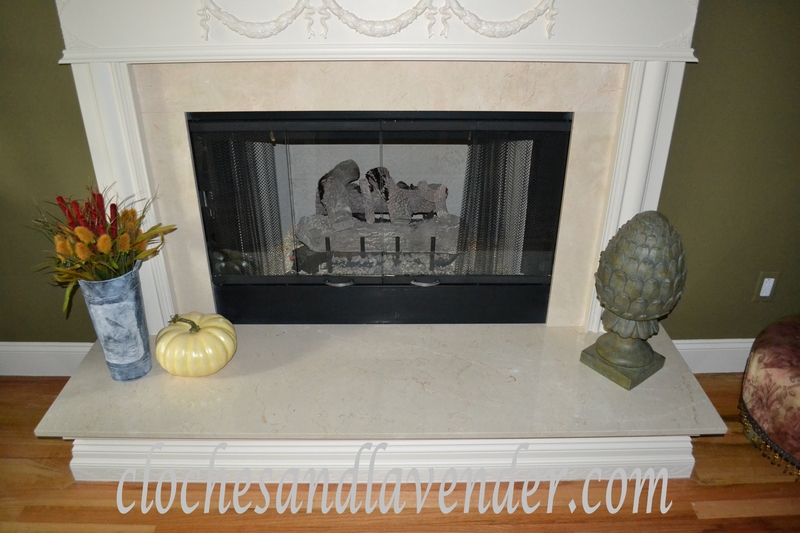 I have been getting the house ready fall with all the bells and whistles. It is coming along. 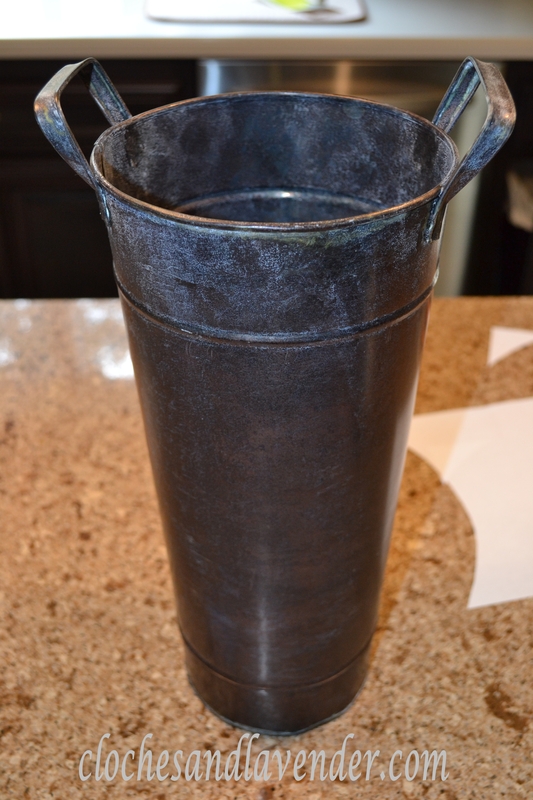 I made a purchase of black oxidized French flower buckets to use this year. (I’ve always liked them) In order to create a slight base coat, I added a stippling of Gesso; then I selected graphics from The Graphics Fairy to place on them using the mod podge transfer technique. Once I had the transfers done, I wanted to add some fall-like accents. I selected fall colored Punks and some other fuzzy looking things LOL (I loved the golden brown tone). After arranging, I placed them around the house for my fall decorating. One each I placed near our living room and great room fireplaces and one went near our buggy bench. (I will be showing a full shot of each of the mantles very soon). I hope you enjoy the pictures and here’s to a great fall! I will do a tutorial some time this week. It is not hard so don’t worry it just takes patience. Oh, now I don’t know which ones I like better. 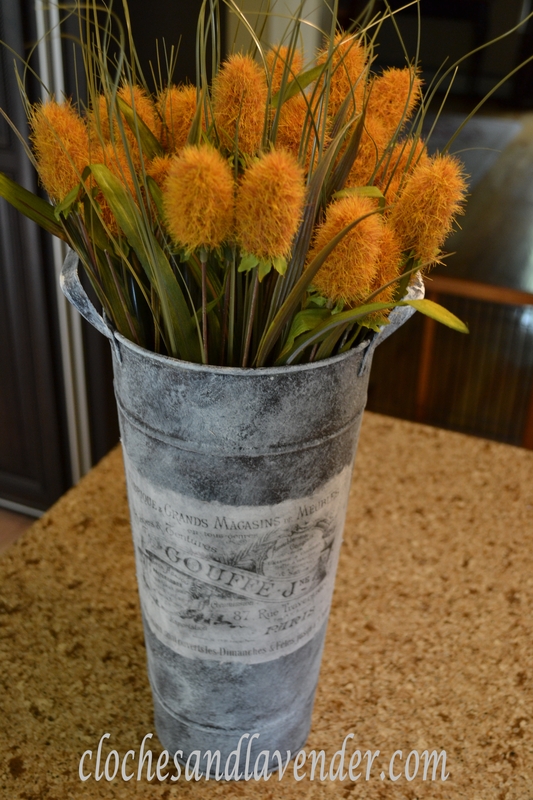 I just love the style of the French flower buckets. Can you please put in a request to my hubby to let me stay home so I can paint and do craft projects? As always Cynthia gorgeous designs. I may be selling these too. You can buy them from me. I have to get moving on that. They look great. 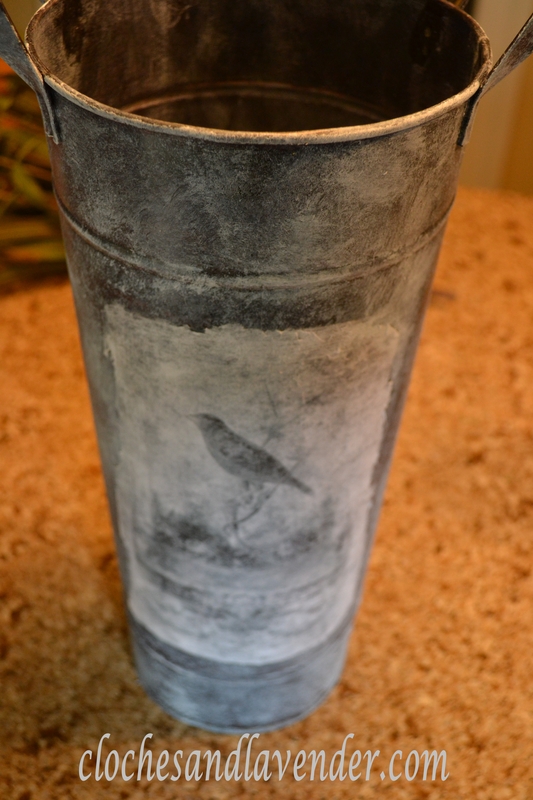 I have some old sap buckets that I was thinking of whitewashing – think I need to get the paint out! These look great! I love the modge podge technique, I have great luck with it. Thanks for coming to visit! I hope you start to get some Fall weather! These look so pretty. I love the french designs you chose. Thanks for sharing at DIYbyDesign. Thank you so much. Coming from you I take that as a huge compliment. You have such talent. You have done a great makeover on the buckets.and I like the way the flowers adds splashes of colour around the house. Thank you so much for taking the time to comment. I really appreciate it. 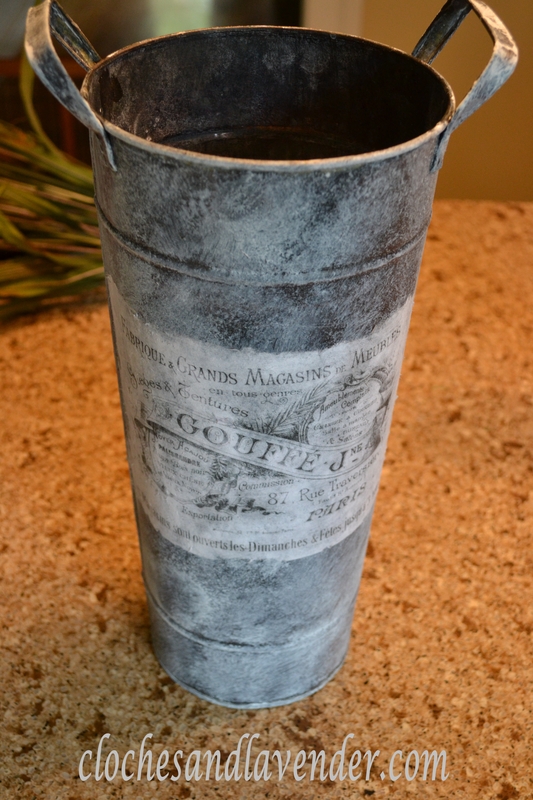 I am glad you like the french pots so much and I hope you will follow Cloches and Lavender. I love how these turned out! Wow what a difference a little gesso and some graphics make. 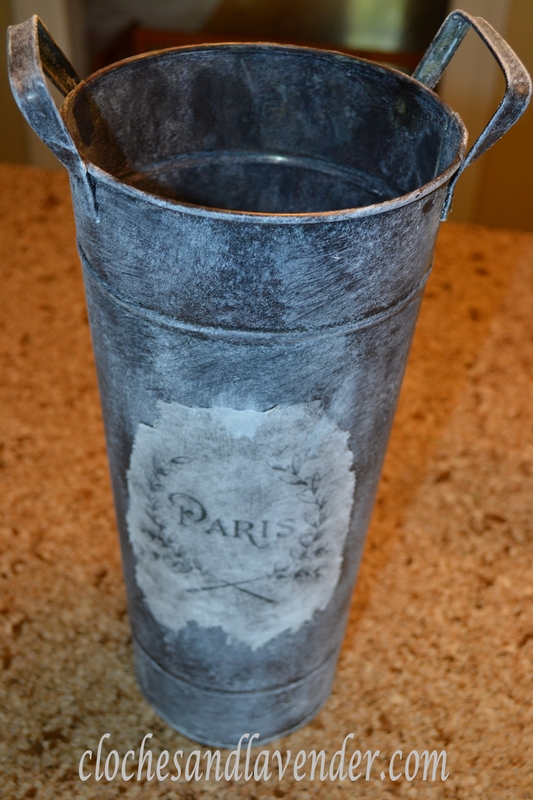 They look like antique French metal flower buckets…they really have some charm now! Great job! Thanks for linking up and sharing this with us. Thank you so much for your kind words. I do love how these turned out. 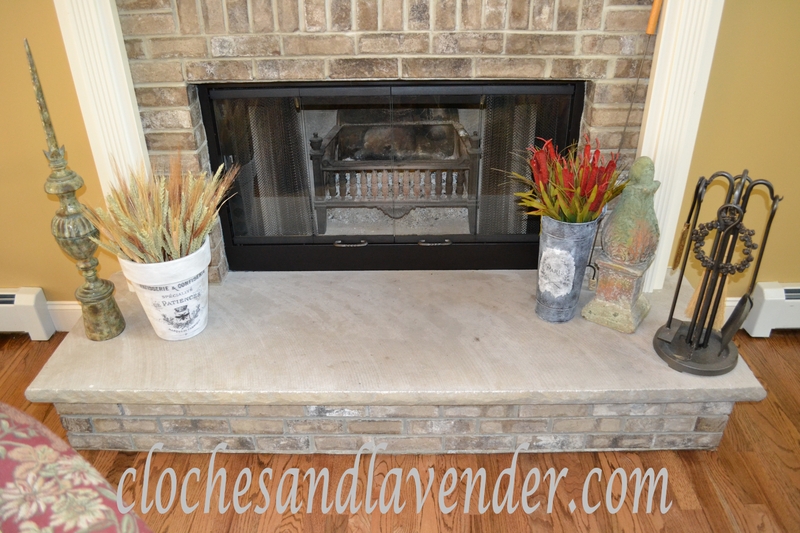 I just love doing projects like this and I am glad I found your blog. I hope you will follow Cloches and Lavender. Beautiful, Cynthia! I love these! Great images you chose, too. Your flower buckets are beautiful!!! Thank you so much you are always so kind. 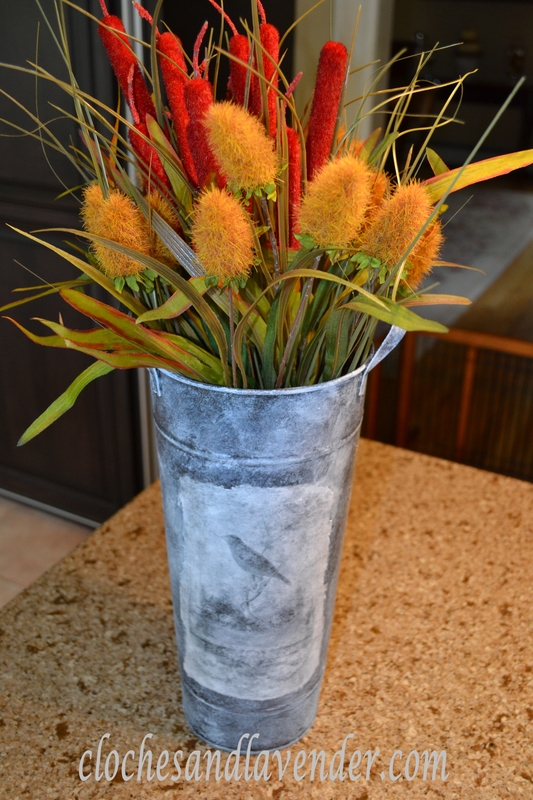 Your buckets are perfect for filling with fall flowers. Love them! Thank yoy very much for your comment. Shirley thank you for always having kind words to say. It gives me encouragement. Thank you so very much. Getting complimented from you is a good thing. Those turned out so great! Thanx for sharing at THT! Your finish on these is great! Love them all! Thank you so much, I hope you follow Cloches and Lavender. Love it….the graphics look great! 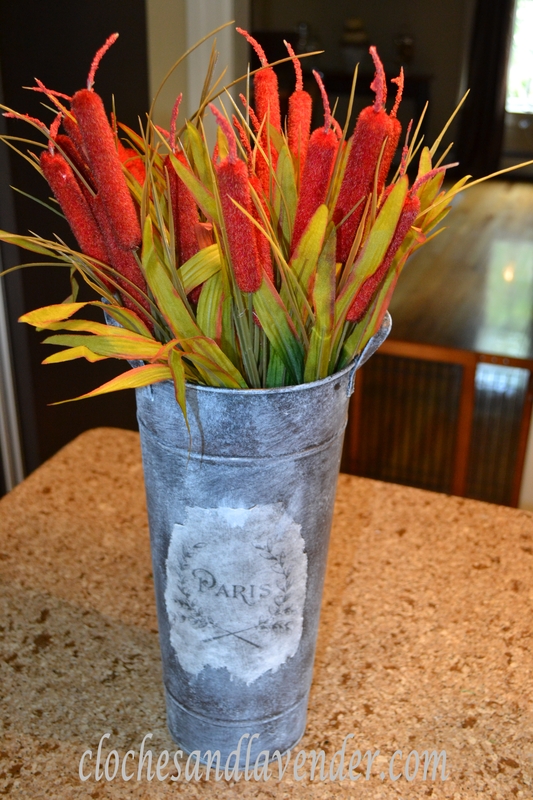 Your French flower buckets are so pretty, and I love how you’ve used them around your fireplace and bench! Thank you so much I wanted get that fall color in there. Those are beautiful. I’ve never even heard of Gesso! I need to get up to speed on new arts and crafts!! Thank you for kind word as always. You are something. I got the gesson if idea, I have to admit, from another blogger. You are amazing! I just added them to my google page! Thank you so much and I take that as a huge compliment. Thanks for adding these to your google page. 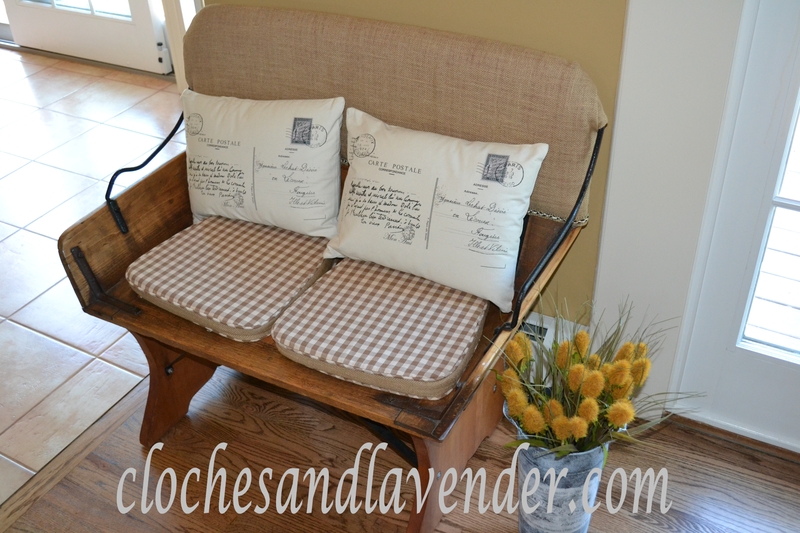 I hope you are following Cloches and Lavender. You did a beautiful job. I have a link party on Wednesdays, and I would love it if you would link this and any other posts. It is called Wednesdays Adorned From Above Link Party. It runs from Wednesday to Sundays. I joined but it is late I don’t know how many views I will get. I am following you via linky. They are Stunning! I love the graphics that you chose for them! Thank you so much! I am very happy with them. They turned out beautiful! And the arrangements in them are just perfect! Thank you for sharing them with us at TTF this week! Thank you for always a kind word. Thank you so much they were fun to make. I am following you via Linky. Love them! They turned out great and so Fall Festive! Thanks so much for sharing this at Rustic Restorations Weekend! Cynthia, Thank you so much for sharing this awesome project on Simple & Sweet Fridays. I really like how each one turned out. I love them all! Gorgeous, it looks lovely on the heart too. Thank you for sharing at the Thursday Favorite Things hop. Your participation helps make it a success.I’m sorry I am slow to visit this week as I am fighting a nasty head cold and my time on the computer has been limited.Wishing you a beautiful day . oops hearth not heart giggle. Very pretty – love how you create those lovely pieces! 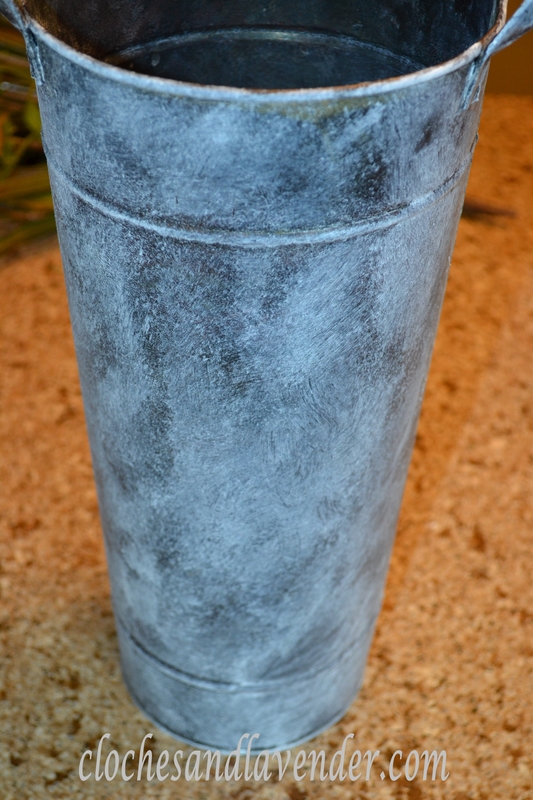 You continue to create wonderful pots with great graphics. Love how your gave them a touch of Fall. Thanks so much for sharing with Share Your Cup. Thanks Tammy, I enjoyed doing those. I can’t wait to get back to doing projects once our new home is getting close to being finished!!! It should start soon and I will be posting about the build!! !